Gingers puppies average about 20 pounds. ​They will be ready to go home 4/13. They are all curly and will be low to no shedding. ​GET $200 OFF ADOPTION FEE. Sales Tax, Vaccines, worming, health record, health guarantee and some fun extras for you to take home. Shipping not included in adoption fee. We ask that each family review our policies and health guarantee before placing a deposit - Thank you! We no longer ship from Seattle airport. ALL puppies are sold with a signed Spay/Neuter contract. 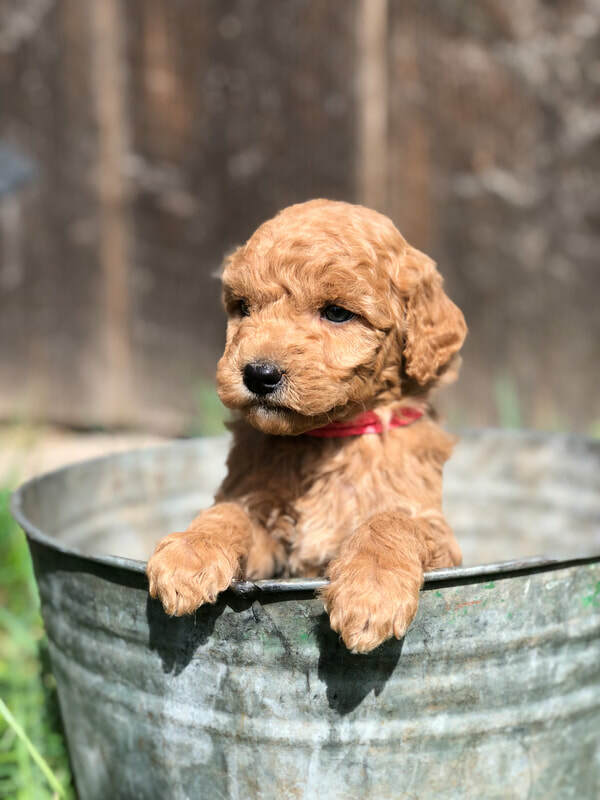 You will be required to sign a contract saying that you have no intentions of breeding your puppy and you understand you must have your puppy spayed or neutered between 5-8 months. 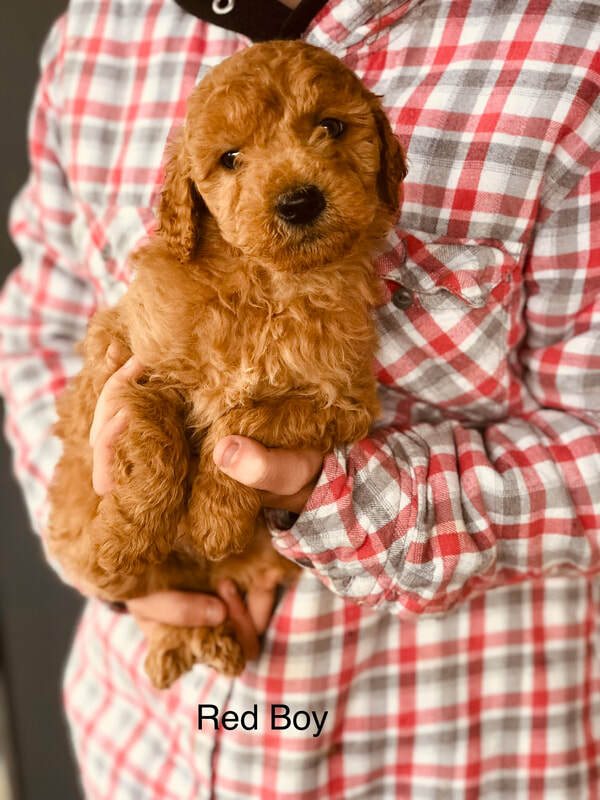 Immediate fees and surrender of the goldendoodle will apply in the case of unauthorized breeding. Buyers will be responsible for any and all legal fees due to unauthorized breeding. This applies to both male and female canines adopted from Doodles and More. 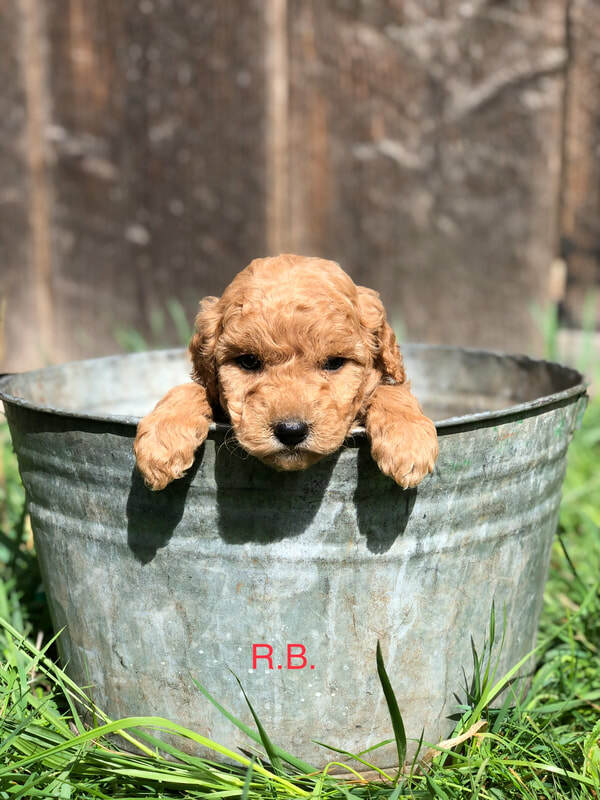 All of the dogs and puppies pictured are owned by or were bred by "Doodles and More" we do NOT use other breeders pictures or internet images as our own.